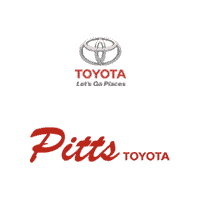 If you are looking for a budget-friendly car that’s also a good value, you need to head for Pitts Toyota dealer serving Dublin, GA. The 2017 Toyota Yaris iA sport sedan is all new and ready to show you what it can do. Recognizing that modern drivers want modern tools, the Yaris iA comes with push button start and a keyless remote. The Yaris iA driver enjoys a tilt-telescopic steering wheel that is equipped with duplicate audio controls. The front bucket seats include driver-side height adjustments. To increase the trunk’s size, the rear seats can fold flat. These days, everyone is a technophile, and that’s why Toyota has packed the 2017 Toyota Yaris iA with a seven-inch touchscreen, six speakers, and Bluetooth handsfree. Apps include Aha, Stitcher, and Pandora. You’ll also enjoy connectivity via USB ports and an AUX audio jack. The standard rearview camera takes the guesswork out of parking. To set it apart, the Yaris iA wears a chrome grille surround and chrome tailpipe. It is offered in a rainbow of seven fun colors. Special 16-inch alloy wheels and the piano black bumper treatment are trim-specific accents. Exterior safety standards include power-adjusting exterior mirrors, halogen headlights, duplicate LED turn signals, and variable windshield wipers. Like the Yaris hatchback, the 2017 Toyota Yaris iA enjoys good fuel economy. The automatic is rated 40 mpg highway while the manual earns 39 mpg highway. Find your Yaris at Pitts Toyota dealer serving Dublin, GA. Just for fun, get behind the wheel and take a test drive.